also have a textured surface which not only adds to their durability and scratch resistance, it gives the planters are more rustic, earthy look and feel. 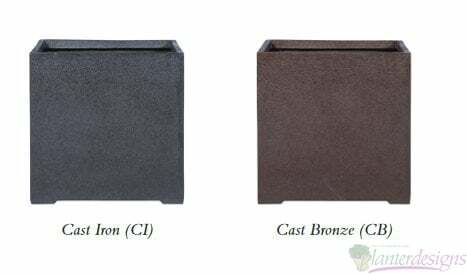 Ironclad Exterior Planters are a great choice for virtually any outside setting. 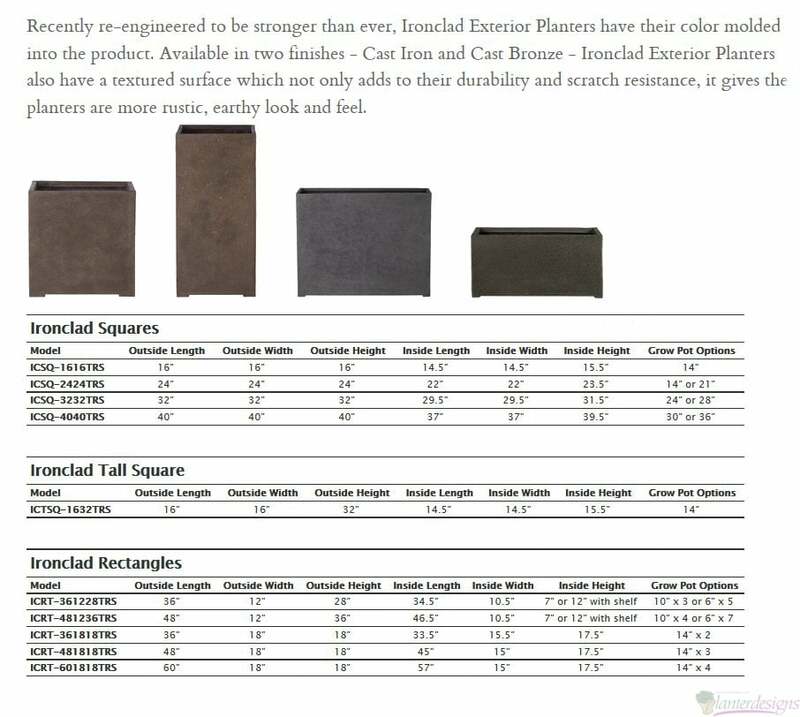 Select from Square, Rectangular both tall and traditional sizes.